Partnership Carson City hosted its biannual drug roundup this weekend, but is also providing a way for people to dispose of unwanted prescription drugs at home. “It’s just an easy way to get rid of medication so you don’t have to wait six months,” said Hannah McDonald, executive director of Partnership Carson City. The agency is offering two methods for home disposal. 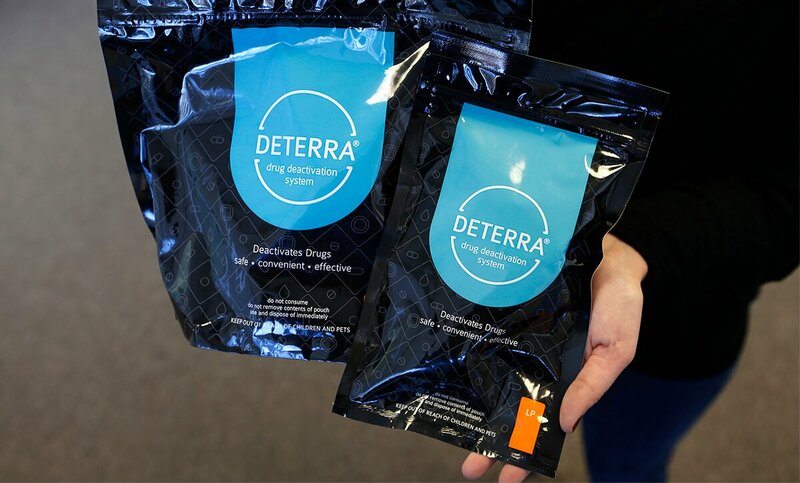 The DeTerra container allows a person to deposit unwanted pills or liquid, then add water. It comes in three sizes, with the largest able to dispose of 90 pills, 12 ounces of liquid or 12 patches. “People can have as many as they need to dispose of medications safely,” McDonald said. Also available is Dispose Rx, a one-time powder that is poured directly into a prescription pill bottle. The pills are absorbed and rendered useless. Kits are available at the Partnership Carson City office, 1925 N. Carson St., in the Frontier Plaza. Drugs can also be dropped off for disposal at the Carson City Sheriff’s Office, 911 E. Musser St.